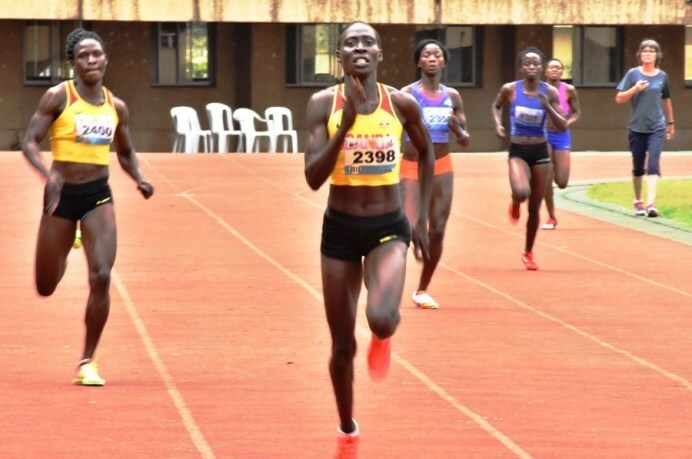 At the 4th UAF National Trial held on Saturday (april 13th, 2019) at the Mandela National Stadium in Kampala, Ugandan athlete Shida Leni reduced her own National Record from 52.12 sec to 52.00 sec. This is the 5th time she has broken the National Record, having broken it on 4 occasions last year. Shida has been trained for almost 6 years by the husband and wife coaching team of Kevin and Sue O’Connor. “This was another tremendous performance by this determined and dedicated athlete. Given she ran the last half of the race alone, she will undoubtedly go faster when she competes against runners who are of a similar standard or better than herself. The big challenge for her now is to improve to 51.80 sec, which is the qualifying time for next September’s IAAF World Championships in Doha,” Kevin O’Connor said. Kevin attributed Shida’s improvement to her intensive weight-training. “She is tall and slender, but now also immensely strong. For Sue and myself, it is an honour and privilege to coach this talented athlete,” he said.